Located a short 40 miles from Hong Kong, Macao is a great stop over if you have a few days to spare. Steeped in a very unique Portugese-Chinese heritage, it makes for a fascinating visit. 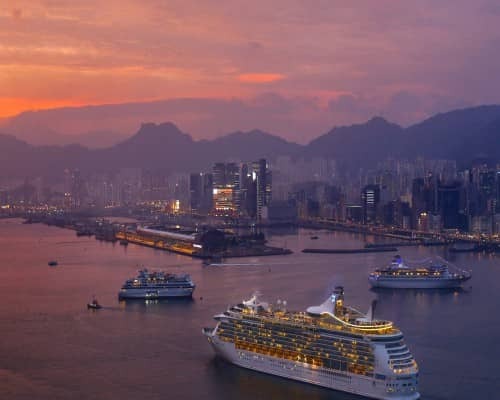 This truly international destination effortlessly juxtaposes historic and futuristic, with ancient temples co-existing with skyscrapers, all perfectly condensed in an area of 30-square-kilometres. However, don’t let its size fool you - there is plenty to keep you entertained. 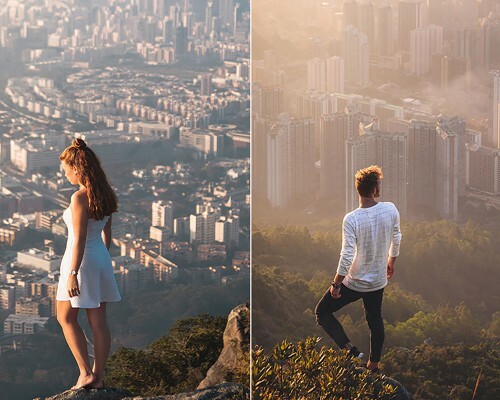 From fusion food, vibrant nightlife and amazing shopping, to UNESCO World-Heritage listed architecture, walking trails and the world’s highest bungy jump, there is something for everyone! 1. Take the bridge! 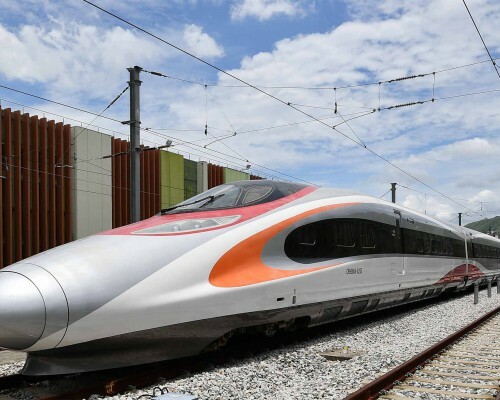 The new 55km bridge from Hong Kong to Macao will take you roughly 30-40 minutes. 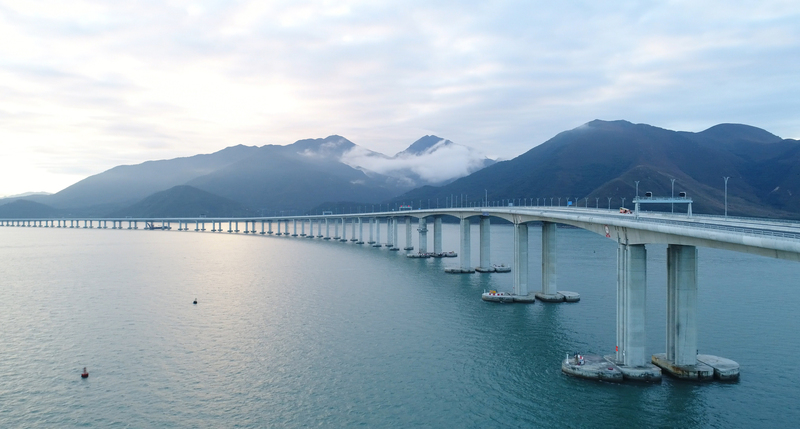 The Hong Kong-Zhuhai-Macao bridge is the longest sea crossing bridge in the world, and took 9 years to build. 2. 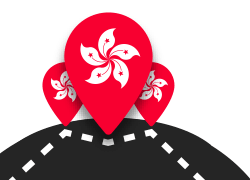 You can take a one-hour fast ferry direct from Hong Kong International airport or in Central from Shun Tak Centre Ferry Terminal. 3. 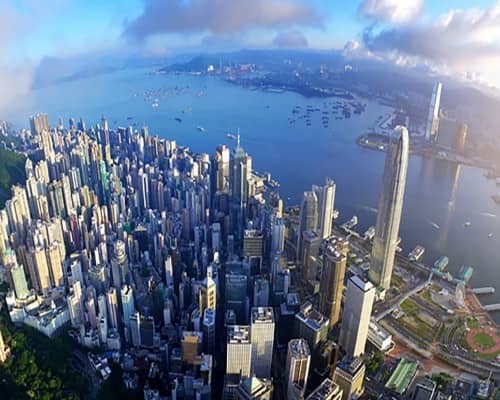 Or if you want to arrive in style, book a helicopter transfer from Hong Kong. The scenic flight will take 15 minutes and give you a great perspective over both cities. 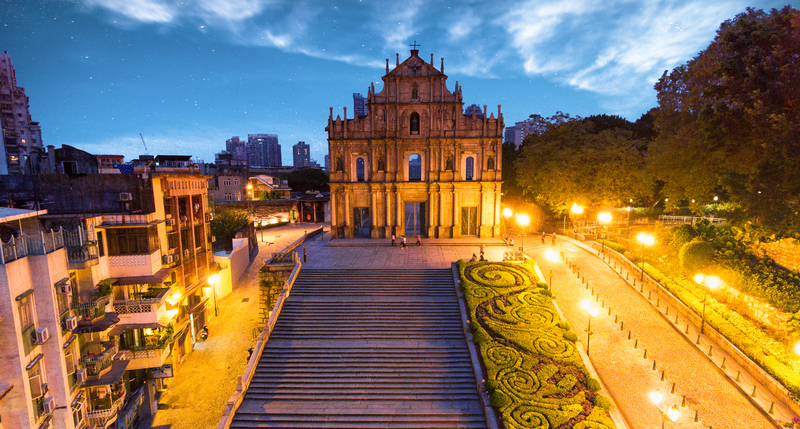 Here is a list of the top 5 things you can see and do whilst you are in Macao. 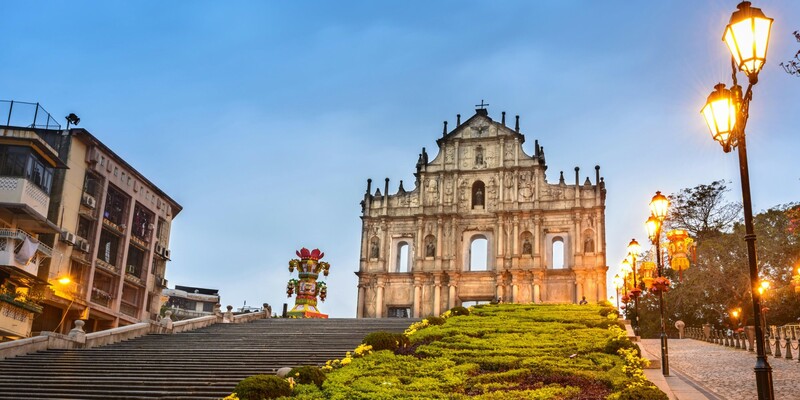 One of Macao’s most famous landmarks, the Ruins of St. Paul’s is an iconic stone façade, the remains of what used to be the greatest of Macao’s churches, the complex of St. Paul’s College and the Cathedral of St. Paul, built in the 16th century, but burned down in 1835 leaving only its very large and beautiful façade and the front stairway. 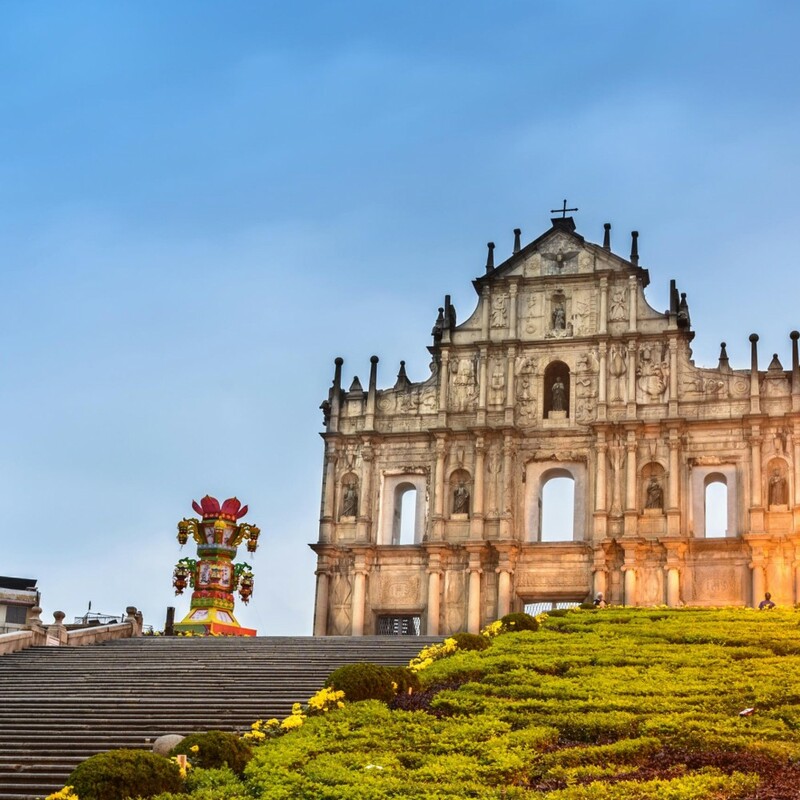 Today it is one of Macao’s must-visit landmarks and an extremely popular backdrop for the countless tourists who visit daily to take photos and explore the nearby bustling side streets. A designated UNESCO World Heritage site which was once a meeting place for the Chinese and Portuguese in the 16th to 18th centuries, where you can admire the famous wave-like mosaic-tiled pavement and colonial facades of the surrounding buildings such as the Leal Senado Building (a former Portuguese government house), the Holy House of Mercy (a medical clinic turned museum), Sam Kai Vui Kun Temple (a community hall dedicated to the gods of martial arts and wealth), and the imposing colonial-era post office. Standing tall at 338 metres, construction of the tower started in 1998, after a visit by Macao businessman Dr. Stanley Ho Hung-Sun to the Sky Tower in Auckland, New Zealand. He was so impressed with the Sky Tower, he decided he’d like to build one like it in Macao! 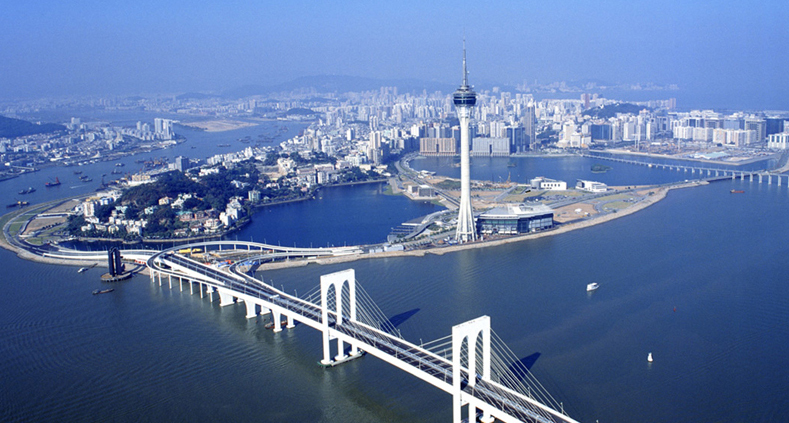 It is home to the best views over Macao as well as the worlds highest commercial bungee jump at 233 metres high. 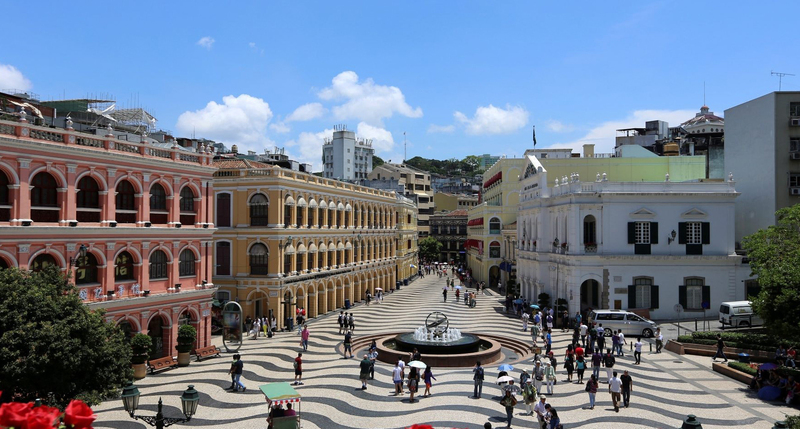 The Historic Centre of Macao is a living representation of the city’s historic settlement, encompassing 22 outstanding examples of architectural legacies interwoven in the original urban fabric that includes streets capes and urban squares. 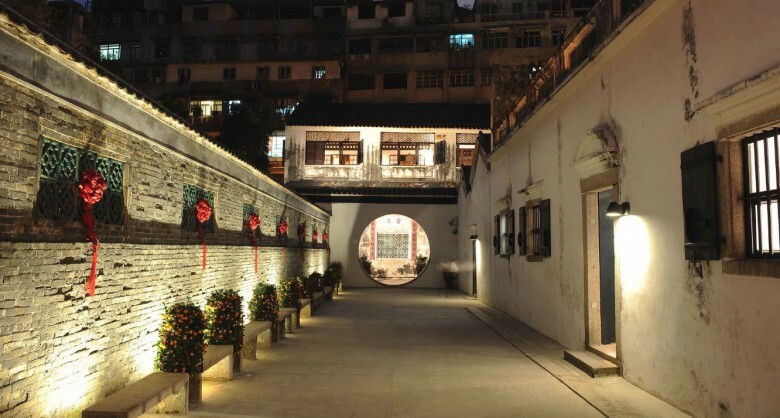 Among existing residential complexes in Macao, the Mandarin’s House (Zheng Guanying Family House) is the largest in scale and has the characteristics of traditional Guangdong’s residences. 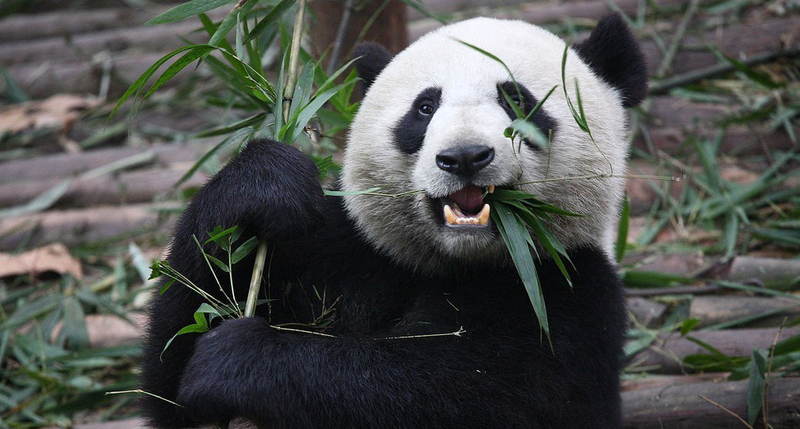 If you are looking for something a little different to do, then a visit to the Macao Giant Panda Pavilion is definitely worth it. Get the chance to explore this 3,000-square-metre state-of-the-art facility that is home to giant pandas, Kai Kai and Xin Xin, and their set of adorable twin panda cubs named Dabao and Xiaobao. In addition, you’ll not want to miss the pavilion’s two red pandas named Luo Luo and Tong Tong. 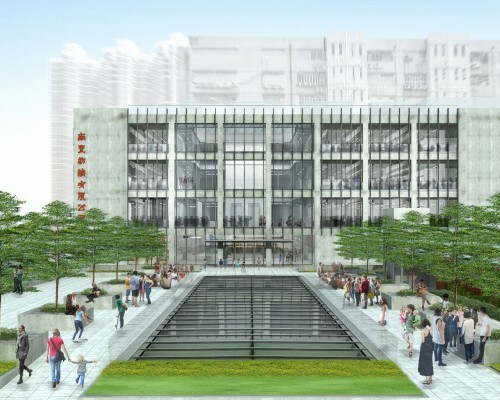 They hang out in the building adjacent to the giant pandas. Daily feeding is around 3:30-4:30pm, a good time to visit as it increases your chances of seeing the pandas active and awake. The pavilion is closed on Mondays, but open in two daily visiting sessions: 10am-1pm and then from 2pm-5pm, Tuesday to Sunday.